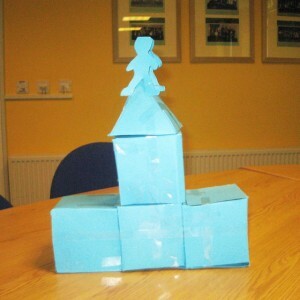 Teams are instructed to build a Chinese Tower using the resources at their disposal. The customer has given specific instructions. At the start the construction resources are hidden so teams do not know what they have to work with – but they can view them – although it will cost them some points. Teams start with 250 points and it costs 25 points to send someone to view the resources and report back – is it worth it? Is one visit enough? 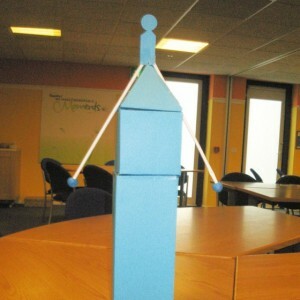 As soon as teams collect their resources they lose points at a rate of one per minute until the tower is built. Detailed plans of the tower’s design are available but cost 75 points and a sketch of the finished structure costs 100 points. The Team Brief seems to give enough data to allow teams to get started – so why incur unnecessary costs? 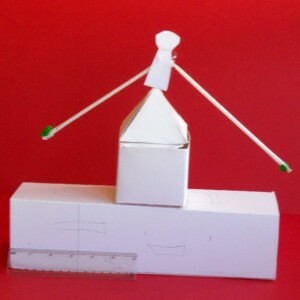 The clearly-stated objective in the Brief is to meet the customer’s precise specification. It does not say anything about retaining maximum points. However, many teams are keen to save points and believe they can succeed in building a satisfactory tower without further clarification. Chances are they should have taken more account of what was required before getting down to work! Issue Team Briefs, explain the mechanics of the activity and allow teams time to study the task. Stand by to issue the further details. Complete the Trainer’s Log which records exactly what teams ask for and number of points lost. 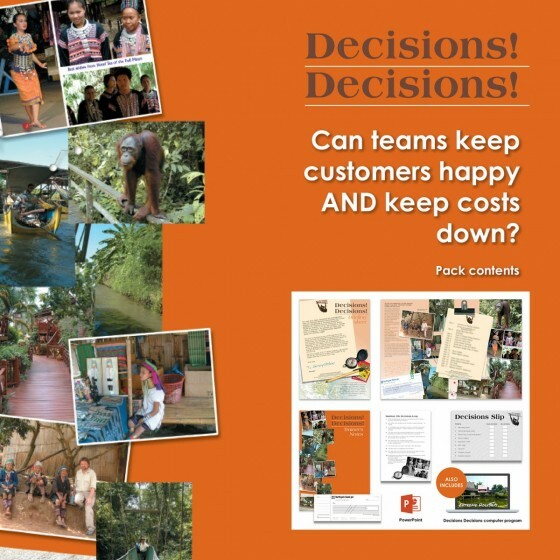 Observe teams in action and note examples (good and bad) of teamwork, communication and planning skills – and customer focus. Bring the session to a close when all teams have completed their constructions. Score teams as per the guidelines. Compare the different towers, total the scores for each team, announce scores and the winning team (which might not be the team with the most points). Discuss key issues that emerge. Compare what happened in the activity with what typically happens within an organisation (optional). Ask teams to complete an Action Plan for introducing specific and real changes back at work. Nearly all teams showed the need to go that bit further to ensure the customer gets what was asked for. 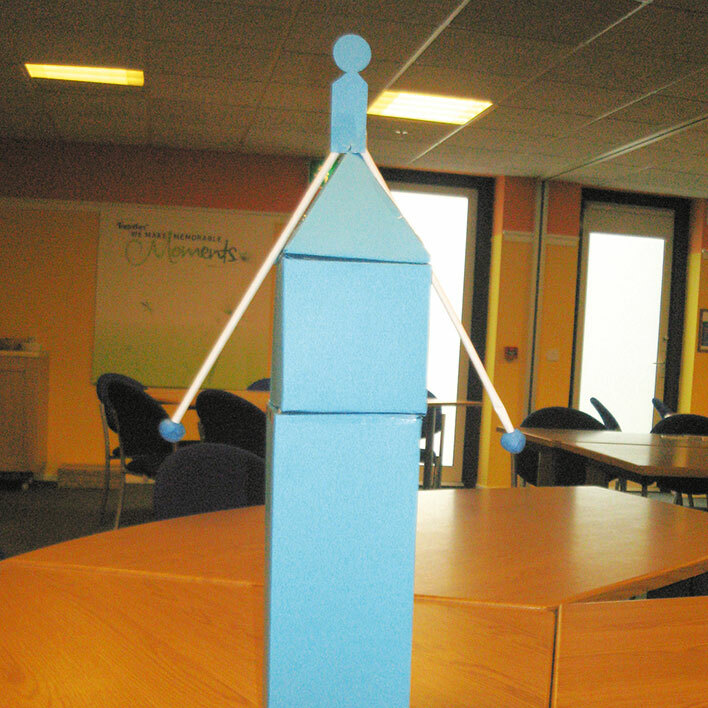 We used 'Chinese Tower' as an opening exercise in a sales training workshop as an assessment and an icebreaker. It was an interesting exercise that gets delegates to start working together and allows the tutor to assess the delegates in 'action'. 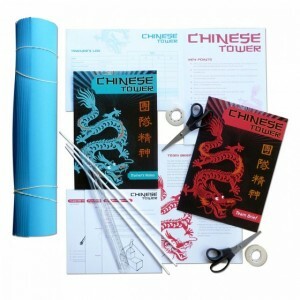 We have used 'Chinese Tower' on a number of occasions. 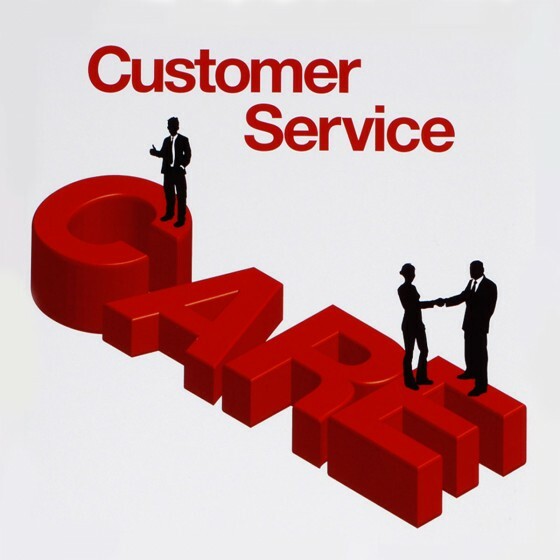 It allows delegates to understand the importance of listening to the 'customer', fully understanding the brief and having all the information available at the start of the project. 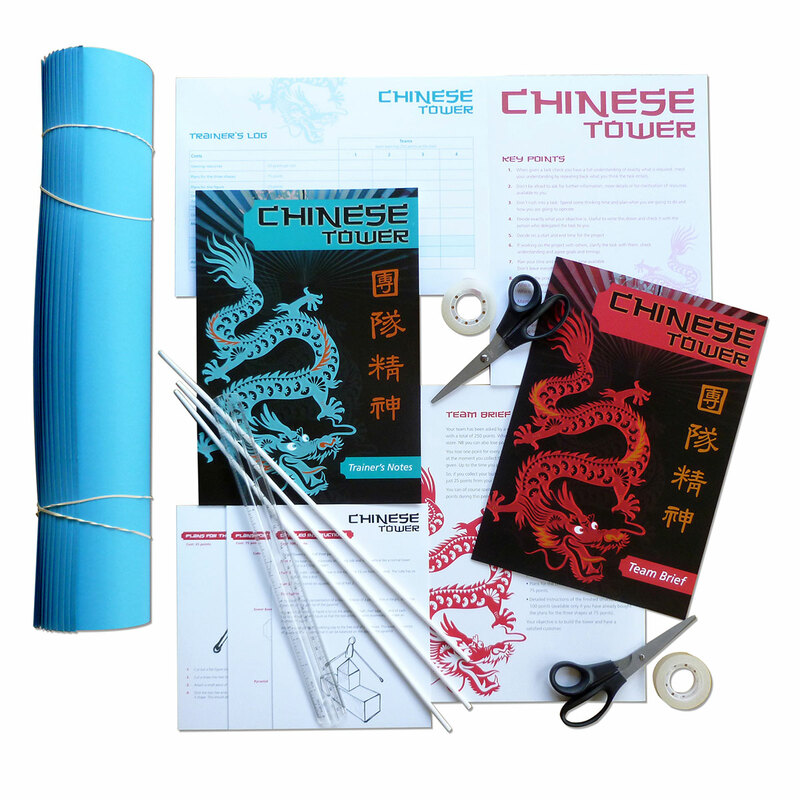 I co -facilitated the Chinese Tower game recently.... absolutely brilliant at understanding the importance of taking an accurate customer brief.